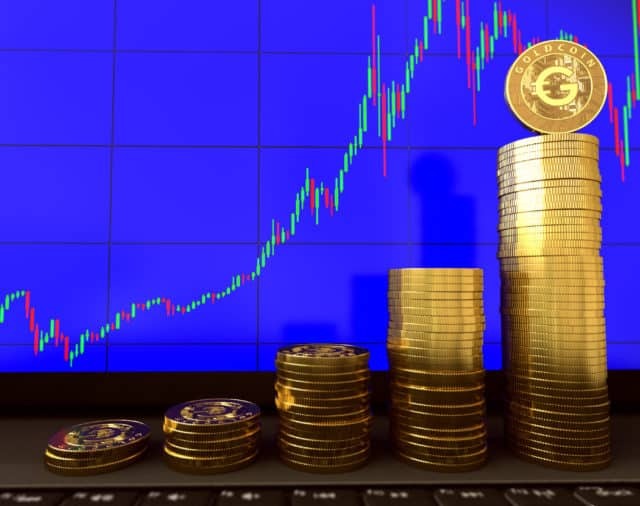 GOLDCOIN (GLC), the cryptocurrency investors love, is part of an expanding market that will reach $10 trillion, according to one of the most highly respected analysts on Wall Street. Mitch Steves, analyst at RBC Capital Markets, said in a report released on Jan. 4, that blockchain-based assets had only begun to reach global investors. But he warned that those cryptocurrencies which only had a weak business case were not likely to survive. “By utilizing decentralized computing and open-source software, we see a multi-trillion dollar market emerging,” Steves said. Hackers and bad management were the dangers for the growing new market, Steves said, but good solid cryptocurrencies would survive and grow. 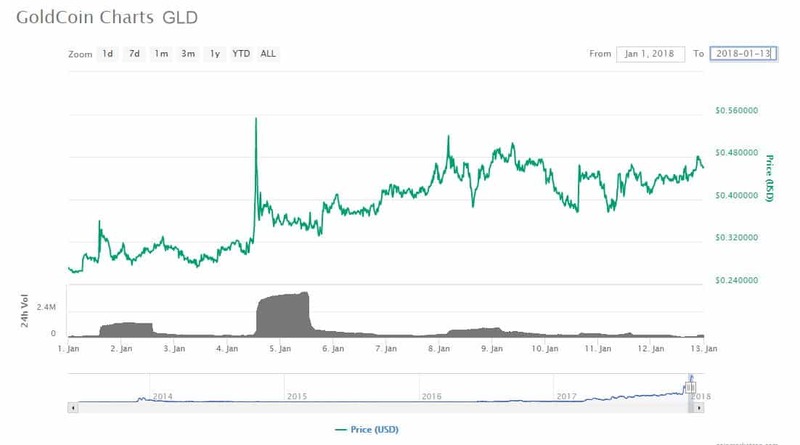 GOLDCOIN (GLC), whose price reached $0.55 in early January, is a good example of a solid cryptocurrency, one that investors are rewarding with steady investment of capital. Steves said his $10 trillion market forecast is based on cryptocurrencies’ taking a third of the roughly $30 trillion held offshore. “The trust system from the original cypherpunks decades ago was intended to reallocate an old system of centralized markets towards open source, secure (encryption) and meritocratic markets. This would be governed by code (Blockchain, consensus) and valued on utility (“token-omics” vs. economics). The former is designed to become a virtuous cycle, whereby successful tokens drive more users, more miners, and higher network value,” Steves commented. We are clearly seeing a beginning to this reallocation today, as the price of the major cryptocurrencies continues to rise, Steves pointed out. GOLDCOIN (GLC), thanks to the intensive and accurate way it is managed, is benefiting from that reallocation. GOLDCOIN’s topnotch development team has made the coin’s network faster and better performing than any other. GOLDCOIN recently added three new experienced developers in its continuing effort to keep its network the best in the sector. A particular component of GOLDCOIN (GLC) management efficiency is the Golden River algorithm, which adjusts the difficulty of the Proof-of-Work on the blockchain to control the speed and intensity of mining. Invented by renowned GOLDCOIN developer Amir Eslampanah, Golden River is a difficulty algorithm that was created and tested with a blockchain simulator, that was designed with step-cases to provide near optimal difficulty at any given point for the network. This code promises to rapidly adjust to incoming hashrate fluctuations caused by ASIC attacks.. Not only will the difficulty now rapidly adjust to hashrate changes, but it will also ease future network congestion. But the algorithm also limits network congestion by adjusting the difficulty in proof-of-work. And the algorithm serves to protect the network from 51% attacks as well. Next PostCryptocurrency ‘Bloodbath’ Takes Bitcoin Below $10,000, Is the Crypto Revolution Over?